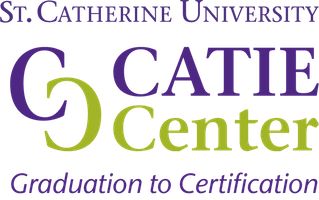 This year the CATIE Center is developing the Graduation to Certification program with input and advice from a wide range of people who we see as experts in the field of interpreting, mentoring, teaching, and learning. The following people have been a part of 1:1 discussions and/or an Online Think Tank and face to face Roundtable exploring how we can incorporate evidence-based practices in the program as well as strategies for increasing the diversity in the interpreting profession. Esteban Amaro, NIC, BEI: Trilingual Advanced, is a native of Chicago and proudly identifies as a COMA (Child of Mexican Adults). He graduated from Columbia College (Chicago) with a bachelor’s degree in ASL–English Interpretation (2015). Esteban received certificates in Simultaneous Interpretation (2011) from English to Spanish and Spanish to English from the University of Hawai’i at Mānoa. He works as a freelance interpreter. He serves as secretary for Illinois Mano a Mano and is on the translation committee for Mano a Mano. 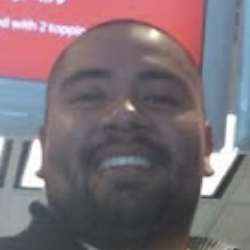 Esteban loves traveling to Mexico, and meeting new people. 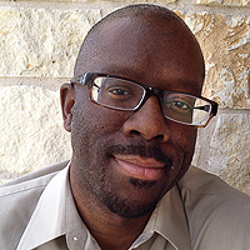 Glenn Anderson, Ph.D., is an alumnus of Gallaudet University. He earned his master’s degree from the University of Arizona and doctoral degree from New York University. He is an Associate Professor in the Interpreter Education Program at the University of Arkansas at Little Rock (UA-Little Rock). 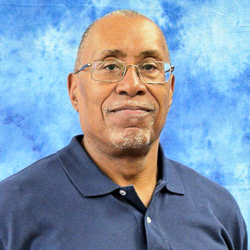 He previously served as chair of the Gallaudet University board of trustees, second vice-chair of the National Council on Disability, and member of the National Black Deaf Advocates board of directors. In 2013, he was named one of 15 visionary leaders by Gallaudet University’s Sesquicentennial steering committee and during Gallaudet’s 150th anniversary celebration in July 2014 he was one of 14 individuals inducted into the University’s Hall of Fame. In 2016, he was appointed as a commissioner with the Collegiate Commission on Interpreter Education (CCIE). Anthony J. Aramburo, Ph.D, NAD IV, IC/TC, has been involved in the teaching profession for the better part of 30 years. One of his favorite Chinese proverbs states, “If you are planning for a year, sow rice; if you are planning for a decade, plant trees; if you are planning for a lifetime, educate people.” His area of interest lies in the field of special education with an emphasis on students who are deaf, deaf-blind, or hard of hearing. He received his doctorate from the University of New Orleans in Special Education. His Master of Arts degree is from Gallaudet University in American Sign Language Linguistics. His undergraduate work was completed at the University of New Orleans where he received a Bachelor of Arts degree in Communication. Over his career he has taught at Delgado Community College, Dillard University, and Xavier University. He currently holds the position of associate professor at Xavier University with a dual appointment in the Education and Language Departments. Outside of the classroom, he stays engaged in the profession of American Sign Language interpreting. He has served on the RID board of directors as member-at-large, is a former Journal of Interpretation editor, was a member of the RID diversity committee, and was a commissioner on the Commission on Collegiate Interpreter Education. As an active member in several organizations, he enjoys working with RID, the National Black Deaf Advocates, New Orleans Black Deaf Advocates Chapter, and the National Association of the Deaf (NAD), to name a few. He presents workshops on interpreting topics and works on infusing multi-cultural practices into the interpreting profession. He is actively collecting data on sociolinguistic aspects within the African American Deaf Community. 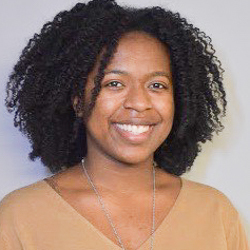 Julia Barnes is from Bronx, N.Y., and is a recent graduate of Northeastern University’s interpreter education program. While she has experience with casual volunteer interpreting and practicum, she looks forward to growing even more. Currently, she works at Camp Isola Bella, a program of the American School for the Deaf. She is working towards NIC certification, and plans to take the knowledge exam in the near future. Elizabeth (Betti) Bonni is a tenured faculty member of Hillsborough Community College in Tampa, Florida. A product of public schools in the Chicago area, she discovered her identity and passion attending college at NTID/RIT in Rochester, N.Y. There her extracurricular activities included teaching ASL, mentoring student interpreters, acting in the NTID Drama Club productions, and sports. She earned her bachelor’s degree in social work and moved to Minnesota, where she taught in the interpreter training program at St. Paul TVI (now St. Paul College). She also honed her theatrical and storytelling skills while a member of the National Theatre of the Deaf. She earned her master’s degree during a stint in the Leadership Training Program at CSUN (1983). Shortly after, she moved to Florida to look after her parents and never really left. Peter C. Brown is a best-selling writer and novelist living in St. Paul, Minn., retired from a career as a management consultant. Brown is the author of five books, and his work has appeared in national and international publications and electronic media, including The New Yorker magazine, New York Times, London Times, Toronto Globe, Salon.com, American Public Radio, and others. He is the lead author of Make it Stick: The Science of Successful Learning (Harvard University Press, 2014), which he wrote with Henry L. Roediger and Mark A. McDaniel, two pre-eminent cognitive scientists at Washington University in St. Louis. Make it Stick has been internationally acclaimed for changing the way we understand learning (http://www.makeitstick.net). 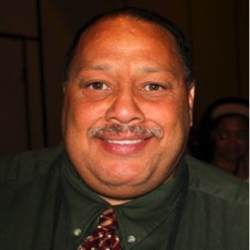 Ritchie R. Bryant, M.A., CDI, is a dynamic, native American Sign Language user and a culturally Deaf Texan. Ritchie obtained a bachelor’s degree in ASL from Gallaudet University and a master’s degree in Deaf education from McDaniel College. He is a certified Deaf interpreter who has been interpreting in the Deaf community since 2000, and currently works as a freelance interpreter at Gallaudet University in Washington, D.C. Ritchie has been presenting ASL/Deaf-related workshops for the past twenty years. As an ASL mentor and ASLPI/SLPI evaluator, he trained Deaf people to become ASL mentors for signers in the Rochester community under the Community Interpreter Grant. He has served on the RID board as Deaf member at large since 2015 and worked as a consultant with various organizations and agencies developing programs ranging from Deaf interpreter evaluation to remote ASL mentoring. His interests include developing African-American storytelling within the Deaf community and video editing on his computer. Robin Burgess Mack is a native New Yorker currently living in South Carolina by way of Philadelphia and Boston. 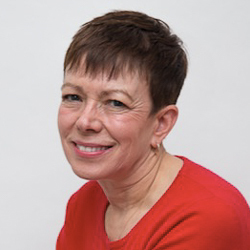 She has been interpreting professionally for over 25 years working in a variety of venues including community, video relay, theatre, regional and national conferences, storytelling and concerts. 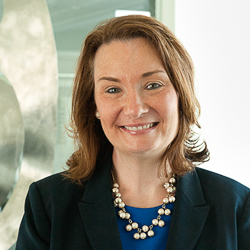 After receiving her Consecutive Interpreting (CI) credential in 1994, she joined the Massachusetts Mentoring Program both for the mentoring experience and as preparation to become a mentor. In 1999, she added interpreter mentoring to her repertoire, with a focus on persons who enter the interpreting profession via alternative pathways. From 2000 to 2003, she was one of the founding members of the Boston University Center for Interpreter Education (BUCIE) program to introduce and prepare interpreters of color for conference interpreting. Her mentor training includes the 1996-1997 Master Mentoring Program facilitated by Betty Colonomos at Boston University, and the 2008-2009 Mentor Training offered through PepNet and facilitated by Lynne Wiesman from Signs of Development. Her belief is that the most successful mentor is one who guides the protégé’s self-discovery as an effective sign language/spoken English interpreter. Lisa Butler’s childhood interest in American Sign Language led her to an amazing opportunity to work both professionally and as a volunteer with the Deaf and interpreting communities. She held several positions within the ASL department at Columbia College (Chicago) for 22 years. She has extensive experience coordinating and executing special events, conferences, and workshops in the non-profit sector. She has volunteered with numerous community organizations holding various board positions and has presented workshops and trainings for both local and national organizations. A passion for service and leadership, led her to North Central College, in Naperville, Ill., where she received a Bachelor of Arts degree in Organizational Communication and Psychology. Lisa has also completed a certificate in Nonprofit Management and a Master of Public Administration from Roosevelt University in Chicago. Her interest in ASL ultimately led her to pursue a second bachelor’s degree in ASL–English Interpretation from Columbia College (Chicago) and become a nationally certified interpreter. In her downtime, you can catch her listening to the music of Prince, dancing, attending Lyric Opera performances and Chicago White Sox baseball games, and cycling along Chicago’s lakefront. Keith M. Cagle, Ph.D., is currently associate professor and coordinator of the Bachelor of Arts in Interpretation program at Gallaudet University’s Department of Interpretation. His doctorate is in Educational Linguistics from the University of New Mexico. He has been teaching undergraduate and graduate ASL and interpreting courses since 1986. Cagle led the curriculum development and revisions of several ASL and interpreting courses and programs for four interpreting education programs in North Carolina. He developed undergraduate courses at NTID, Gardner-Webb University, and CPCC (where he also served as program chair), and assisted the University of Northern Colorado with the development of graduate courses for its new Master of Arts in Teaching ASL program. Cagle was American Sign Language Teachers Association (ASLTA) president from 1990–1995. He was the ASLTA evaluation chairperson from 2000–2015. He has served on North Carolina’s Interpreters and Transliterators Licensing Board, and on the national and state committees for ASL bills, standards, outcomes, and screening. He has been a sign language proficiency interview trainer, interviewer, and rater since 1989. 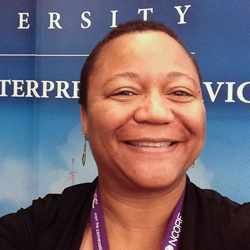 Loriel Dutton is currently a staff interpreter/mentorship coordinator at Gallaudet University. She holds NIC certification from RID and has been interpreting professionally for 12 years. She completed a Master of Education in Interpreting Pedagogy at Northeastern University and holds a bachelor’s degree in Deaf Studies from California State University, Northridge (CSUN). Areas of expertise include mentoring interpreters; diagnostic assessment; and interpreting in science, research, and educational contexts. 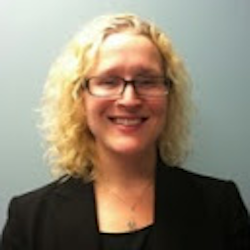 Suzanne Ehrlich, Ph.D., is an assistant professor in the University of North Florida’s Interpreting program. She has presented nationally and internationally on the topics of e-learning integration for interpreter education. Her recent research focuses on the use of iPads to bridge interpreting services for postsecondary students and digital service learning. 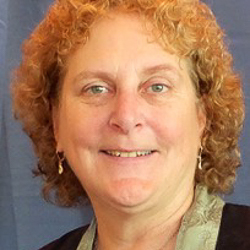 Ehrlich serves as co-chair of the scientific committee for the World Association of Signed Language Interpreters (2015 and 2019) conferences. Her latest publications include Interpreter Education in the Digital Age (Gallaudet University Press), with Jemina Napier, and “Dynamic Dialogue in Interpreter Education via Voicethread” with Stacey Webb. 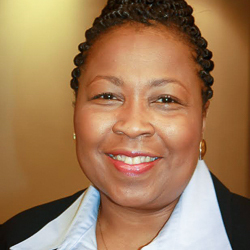 Folami Ford, CI, CT, NIC Master, began interpreting in 1999 with Sign Language Associates. For the last 12 years Folami has been a full-time staff interpreter with Gallaudet Interpreting Service in Washington, D.C. She holds a bachelor’s degree in Sign Language Interpreting from Maryville College and a master’s degree in Interpretation from Gallaudet University. Committed to being a lifelong learner she is currently a doctoral candidate in the Interpretation program at Gallaudet University. 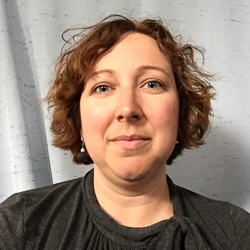 Her areas of interest include examining the role of intersectionality within the interpreting profession, mentoring interpreters, and teaching interpreting. Folami is actively involved in the National Alliance of Black Interpreters (NAOBI) DC chapter and is particularly passionate about working with Deaf and interpreting communities of the African diaspora. Eileen Forestal, Ph.D., RSC, Forestal retired after 36 years as Coordinator/ Senior Professor of ASL-English Interpreting Programs at a college in New Jersey and was a visiting professor at University of Southern Maine for 2016-2017. She is an adjunct professor in the University of Northern Florida’s Master’s online Program in Interpreter Pedagogy and at LaGuardia Community College’s ASL-English Interpreting Education program in NYC. Certified as a Deaf interpreter since 1979, she interprets primarily in legal and medical settings. She is also a national and international educator. Forestal has published widely, including “Deaf interpreters: Exploring their processes of interpreting” in Deaf interpreters at work: International insights in Gallaudet University Press (2014), “Emerging Professionals: Deaf Interpreters and Their Views and Experiences on Training” in Interpreting and Interpreter Education: Directions for Research and Practice, Oxford University (2005), and “Deaf perspectives in interpretation research: A critical element long overdue” in Selected papers from the 2014 International Symposium on Signed Language Interpretation and Translation Research, Gallaudet University Press, 2015). Heather Holmes currently serves as the co-director for the DeafBlind Interpreting National Training and Resource Center (DBI). Her responsibilities include development of online materials and courses, management of a national online resource repository, and provision of technical assistance to stakeholders across the country. Her areas of interest include online accessibility, adult learning, content and course development, and curriculum design. Heather codeveloped “Map It: What Comes Next,” an online, interactive transition program and curriculum for Deaf and and hard of hearing youth focusing on the development of self-advocacy and self-determination skills, and is currently being used by students across the United States. 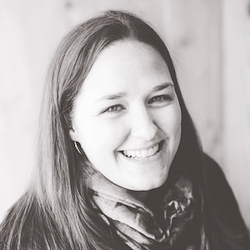 Heather also teaches an Assistive Listening Technology course at Western Oregon University. 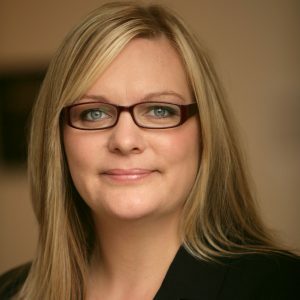 Heather has a Master of Science degree in Education: Information Technology from Western Oregon University, and a Bachelor of Arts degree in Psychology from Arizona State University. She is a nationally certified (NIC Advanced) American Sign Language interpreter and a member of the Registry of Interpreters for the Deaf (RID). Heather has a Deaf partner and son and understands firsthand the importance of quality interpreters and equal access to information. Heather believes in the power of collaboration, creative thinking, and that laughter and kindness make every interaction more effective. Irma Kahle, MJEd., CI & CT, has worked in the interpreting field since 1990, specializing in the development and provision of mentorship programs and services. As director of the Massachusetts Mentorship Program from 1999 to 2015, she facilitated its expansion from a small, Boston-based service to a multi-program resource for interpreters across New England. 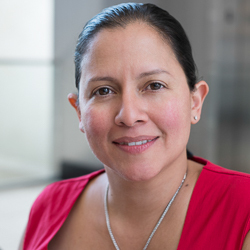 Since 2006 Irma has received invaluable support and coaching from her colleagues in the Minority Interpreters Group, working towards the goal of providing a positive, safe environment to support and nurture interpreting talent among people of color. 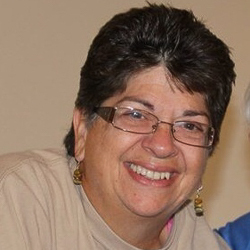 Prior to her work with the Massachusetts Mentorship Program, Irma served as director of interpreter and CART services at the Massachusetts Commission for the Deaf and Hard of Hearing. She has also worked as a practitioner and interpreter educator and is a contributing author to the book Mentorship in Sign Language Interpreting (2013) edited by Betsy Winston and Robert G. Lee. Currently, Irma is a consultant and Eastern Region Representative for the Graduation to Certification program. Kim Kurz, Ph.D. is chair of the American Sign Language & Interpreting Education department at the National Technical Institute for the Deaf (NTID). Kurz also works in the NTID Associate Dean’s Office for Curriculum and Special Projects and is the co-director of Sign Language Research Lab in NTID’s Center on Cognition and Language. She earned her doctorate in education from the University of Kansas with a minor in linguistics. Prior to her work at NTID, she served for ten years as the interpreter training program director and the assistant program director of the Gallaudet University Regional Center at Johnson County Community College. She is a primary author of Learning Outcomes for American Sign Language Skills: Level 1-4. She worked closely with the New York State Department of Education related to outcomes for “Graduates of Baccalaureate Interpreter Preparation Programs Specializing in K-12th Grade Settings” and the ASL teacher’s certification exam design. She served on the American Sign Language Standards National Committee to develop learning outcomes for students learning a language as their second or third language. Carole Lazorisak has been in the interpreting field since 1975. She holds RSC and CDI certifications from RID, American Sign Language Teachers Association: Professional, and is a certified Master Mentor. Her work has been in the development of interpreter and language assessments; and the design of interpreting courses, training sessions and workshops, and mentoring programs. Carole is also an author of numerous articles and a published book. She has been a consultant with the National Consortium of Interpreter Education supporting the development of Deaf interpreter competencies and assessments. 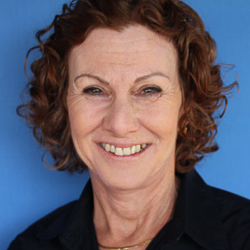 Carole is dedicated to the field of interpreting and to the work of promoting quality interpreters. 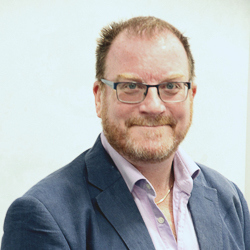 Robert G. Lee, MA, CI/CT, is currently senior lecturer in Deaf Studies and course leader of the Master of Arts and Postgraduate Diploma in British Sign Language/English Interpreting program at the University of Central Lancashire (UK). He is a full member of the Association of Sign Language Interpreters (UK) as well as a fellow of the UK Higher Education Academy. Robert has been interpreting, teaching, and researching for more than 25 years. 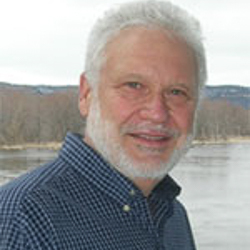 He has authored and co-authored numerous articles and book chapters on various aspects of linguistics and interpreting, from cognitive processing to the syntax of ASL. Along with Peter Llewellyn-Jones, Robert co-authored the 2014 book, Redefining the Role of the Community Interpreter: The Concept of Role-Space (SLI Ltd. Press, UK). Robert has previously taught both Interpreting and Linguistics at Northeastern University in Boston, Mass. and has presented at conferences all over Europe, North America, and South America. 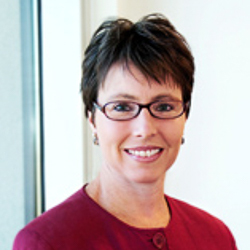 Annette Miner is a faculty member at the VRS Interpreting Institute in Salt Lake City, Utah. 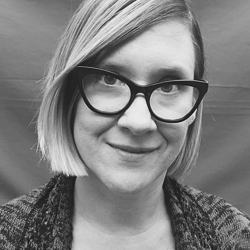 She has an educational specialist degree from Western Michigan University, and is a doctoral candidate in the interpretation program at Gallaudet University, focusing on interpreting pedagogy and research. 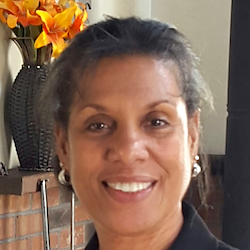 She has over 20 years of experience interpreting and teaching in various settings. She served the Conference of Interpreter Trainers as president, regional representative, and as director of research and publications. She holds Registry of Interpreters for the Deaf NIC Master certification, and American Sign Language Teachers Association Professional level certification. 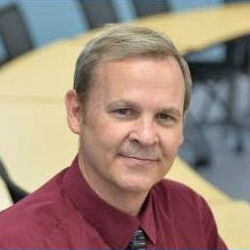 Chris Monikowski has a doctorate in Educational Linguistics from the University of New Mexico (Albuquerque) and is a professor in the Department of ASL and Interpreting Education at Rochester Institute of Technology. She has taught courses in American Sign Language and interpretation for over 30 years. She was a Fulbright Specialist in Australia at the University of Newcastle in early 2013 and was a short-term fellow at Trinity College Dublin’s Long Room Hub in 2016. Holly Nelson is the Program Director at the VRS Interpreting Institute (VRSII) where she has been for nine years with an amazing group of educators. This role at the VRSII allows Holly to create innovative and responsive programming for interpreters and interpreter educators. Currently she responsible for the School-to-Work program, the Pathways VRS Internship Program, and the COMPASS Interpreting Program for Deaf-parented, heritage users of ASL. Holly’s experience spans over 20 years and includes interpreting, teaching, mentoring, development, assessment, and research. She has been fortunate to work with Weber State University, the Utah Interpreter Program (including the Interpreter Certification Advancement Program, ICAN), Salt Lake Community College, and the University of North Florida. Currently, Holly is nearing the completion of her doctoral studies with a research focus on differentiated instruction for Deaf-parented interpreting students. Other areas of focus, research, and teaching include decision making/ethics, problem-based learning, communities of practice/communities of inquiry, creativity and reflective practice, and program review/development. Holly lives with her partner in Salt Lake City, Utah. 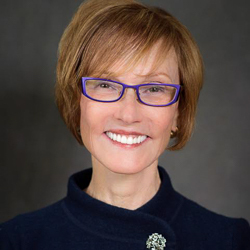 Carol J. Patrie, Ph.D., CSC, CI, CT, an independent researcher and writer is a widely known consultant on interpretation and teaching interpretation. Patrie was professor and director of the Master of Arts in Interpreting at Gallaudet and received the Outstanding Graduate Faculty award. Currently she serves as a member of the editorial boards of the International Journal of Interpreter Education and The Journal of Interpretation. She is a past president of the Conference of Interpreter Trainers and is a recipient of the Mary Stotler Award. Patrie is the author of The Effective Interpreting Series and Fingerspelled Word Recognition through Rapid Serial Visual Presentation. Her most recent release is Consecutive Interpreting from ASL. She is writing the tenth and final volume in The Effective Interpreting Series, Simultaneous Interpreting from ASL. She is instrumental a mentorship program for the Canadian province of New Brunswick and also serves as an adjunct faculty in the University of North Florida’s Master of Science in Interpreting Pedagogy program. When she is not traveling, teaching or writing, Carol enjoys working in her extensive gardens or her glass studio. Rayni Plaster has a BA in communication studies and is a staff interpreter with Gallaudet Interpreting Service. She has been mentoring, interpreting and training interpreters for over 13 years. Rayni has mentored and trained interpreters nationwide and has traveled all over the world to provide interpreting services as far east as China. She is somewhat social-media-shy and juggles multiple responsibilities in addition to being a regular interpreter. She also served in the first cohort of the Deaf Interpreter Curriculum training for the NCIEC and served as an expert content advisor for the Legal Interpreting Curriculum for the MARIE center. Rayni is the mother to an amazing little boy, wife to Fidel, aunt to a current Gallaudet student and keeper of the household (mother of dragons) which leaves little time for much else. In her spare time she enjoys traveling or planning travel, getting together with friends, playing board/card games, and playing catch up. 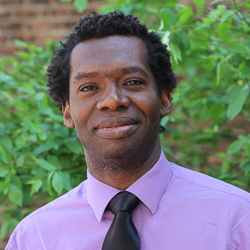 Christopher Robinson is the coordinator of outreach and training at Boston University Disability Services. He has practiced as a Performing Arts ASL–English interpreter since 1994. 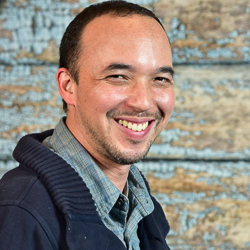 Much of his work as an ASL–English interpreter has been influenced by his conversations with the late August Wilson. Christopher has worked as an interpreter on “Wilson’s Fences,” “King Hedley ll,” “Radio Golf,” “Jitney,” and “Gem of the Ocean.” When not interpreting, he is a stage and television actor. Christopher has over 25 years experience as an ASL–English interpreter, mentor and national presenter in the content areas of inclusion practices in the performing arts, mentorship for interpreters, and cross-cultural mediation within Deaf and hearing communities. In 2001, Christopher entered the Conference Interpreter Mentorship Program (CIMP), a collaborative project with the then Northeastern University Interpreter Education Project and Boston University Center for Interpreter Education (BUCIE). Upon completion of the program in 2003, he went on to become coordinator of the program until 2006. From the 2007 to 2008, Christopher was one of two lead facilitator trainers for the Gallaudet University Regional Interpreter Education Center (GUREIC) interpreter mentoring project. He is also a certified facilitator in the LEGO® Serious Play™ methodology. In this capacity, he organizes sessions to adjust programming practices and mitigate barriers in technology that obstruct the participation of persons with disabilities in campus life. He serves on the board of directors for Stagesource, the arts and advocacy organization of Greater Boston and the New England Region, to fulfill its mission-goals. 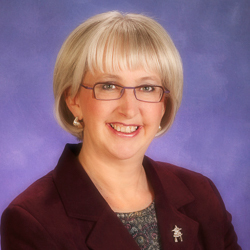 Debra Russell is a Canadian certified interpreter, educator, and researcher at the University of Alberta. 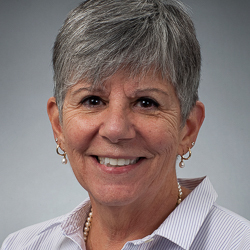 As the previous David Peikoff Chair of Deaf Studies, her research interests included mediated education involving interpreters, legal settings and legal discourse, and Deaf-hearing interpreter teams. She is extensively published in the field of interpretation. Her recent publications include Power and Privilege: An Exploration of Decision-making of Interpreters and An Interview with Sergio Peña, Multicultural and Multilingual Interpreter and Educator. Her interpreting practice spans over thirty years, and continues to focus on medical, legal, mental health, and employment settings. She is the current president of the World Association of Sign Language Interpreters (WASLI). Roberto Santiago, MA, CI/CT, is the interpreter preparation Program instructor/coordinator at Ohlone College in Fremont, Calif. Roberto is a graduate of the Deaf Studies program at Berkeley City College, holds a Bachelor of Arts in Interpreting from California State University, Northridge and a Master of Arts in Interpreting from Gallaudet University. Roberto is currently completing his doctoral studies at Gallaudet University. Roberto’s research has been published in the Studies in Interpretation series, Sign Language Studies, and the International Journal of Interpreter Education among others. Past presentation venues include RID and CIT conferences, the Georgetown University Round Table on Languages and Linguistics, and the American Dialect Society annual meeting. He also presented his research results on handling and incorporation of idioms in interpretation at the first International Symposium on Sign Language Interpretation and Translation. 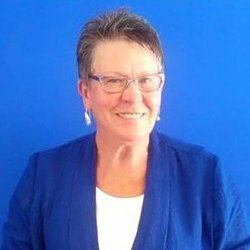 Kathleen D. Taylor is from New York, N.Y., and has worked in Deaf-related fields in various capacities (mental health therapist, domestic violence counselor, vocational evaluator, rehabilitation counselor, academic program director for Deaf immigrants, consultant) for the past 29 years. She has been interpreting for 26 years, maintaining CI, CT, and NAD IV certifications. She has served NAOBI NYC Chapter as president and Eastern regional representative, and is a former board member of the NYC Chapter of Black Deaf Advocates and Metro RID. She is a married mother of a 9 year old who is learning ASL and is comfortable in the Deaf community, a godmother of a 36 year old NTID graduate, and god-grandmother of three (one was recently diagnosed to have unilateral hearing loss). She enjoys meeting with and mentoring “newbie” interpreters because it is a humbling reminder to never forget the basics of why she became an interpreter, the importance about the Deaf community, and the skills/philosophy about the interpreting process. 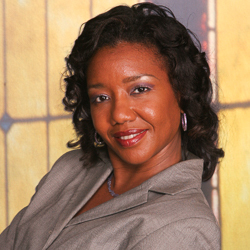 Marty Taylor, Ph.D., is an interpreter and interpreter educator nationally certified in the U.S. and Canada. She is the founder and owner of Interpreting Consolidated, a company formed to provide consultation, evaluation, research, and publishing services to interpreting communities worldwide. Marty has written two books, Interpretation Skills: American Sign Language to English and Interpretation Skills: English to American Sign Language. She is an independent academic, most recently researching and consulting on projects related to K-12 interpreting, mentoring and instructional delivery, as well as infrastructures to support interpreter education. More information is available on her website: http://www.ASLinterpreting.com. Leandra Williams is a native Chicagoan who has spent the last six years alternating between living in Chicago and Washington, D.C. as she completed doctoral studies at Gallaudet University. Prior to enrolling in the doctoral program, she worked as an adjunct faculty member in the Interpreter Education Program at Columbia College (Chicago); and served in numerous positions within both the Deaf and Interpreter communities. 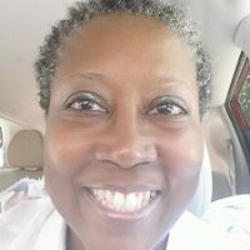 She currently holds memberships in various organizations including: RID, Illinois RID, National Black Deaf Advocates, DC Area Chapter of Black Deaf Advocates, the Chicagoland Black Deaf Advocates, the National Alliance of Black Interpreters – DC Chapter, NAD, and Illinois Association of the Deaf. Involvement with these communities enables her to have a well-rounded perspective on issues impacting various groups in the field. 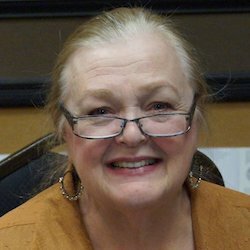 Betsy Winston has been involved in the field in many ways over the past 35+ years, including interpreting, educational interpreting, interpreter education, interpreter educator education, and research. 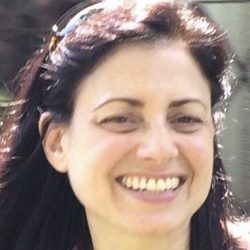 She has had the wonderful opportunity to collaborate with many other people in the advisory process, and in various roles has participated in the pre-CCIE self-study design and development, interpreter assessment, the implementation of graduate programs for both mentors and for interpreter educators. Currently she’s finishing up some research about the use of cognitive reflection (CoRe Activities) for assessing our teaching and learning of interpreting, and teaching as an adjunct from time to time. Director of the UNCO MARIE Center and the former Interim Executive Director for the Registry of Interpreters for the Deaf. Currently, she provides consultation in the area of program design and curriculum development, program administration, and interpreter performance and interpreting services. She holds the Comprehensive Skills Certificate (CSC), Certificates of Interpretation (CI) and Transliteration (CT), Comprehensive Oral Interpreting (OTC: Comprehensive), Specialist Certificates: Legal (SC:L) and Performing Arts (SC:PA). She is the co-author of two texts, Towards Competent Practice: Conversations with Stakeholders , published by RID Press, and The Dimensions of Ethical Decision-Making , published by Sign Media, Inc. She is the author of the workbook and 12-part DVD series entitled Interpreting in the American Legal System, also published by Sign Media, Inc.